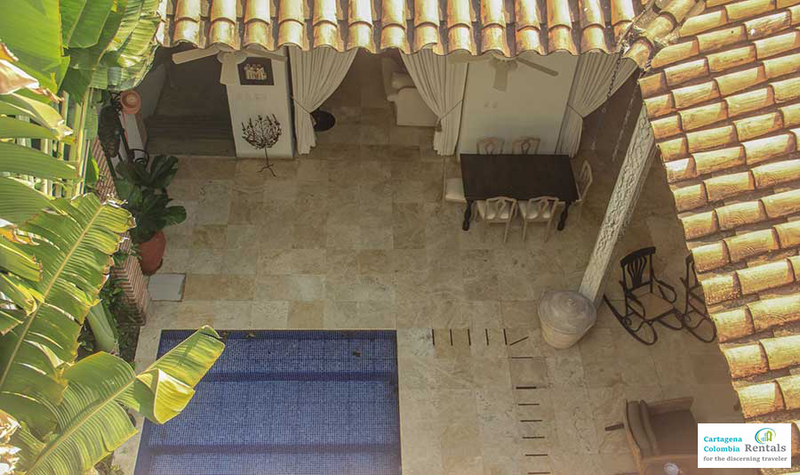 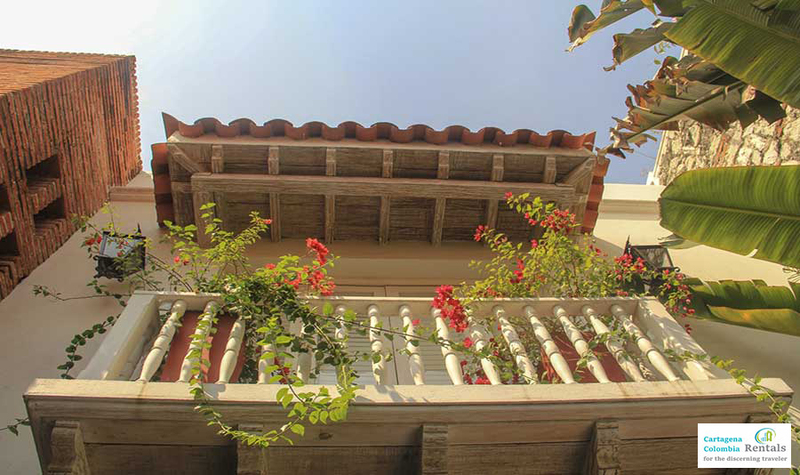 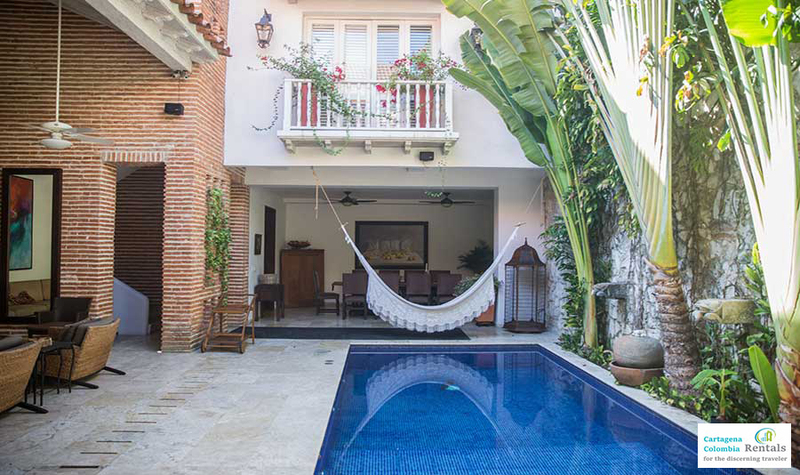 Casa Mayito is a lovingly and stunningly restored property rental that sleeps 12, located in a prime location in the old city directly across from the famous Hotel Santa Clara (build around 1600) and onto the Plaza de San Diego and is only a couple of doors down from Colombian Nobel Laureate Gabriel Garcia Marquez’s house. 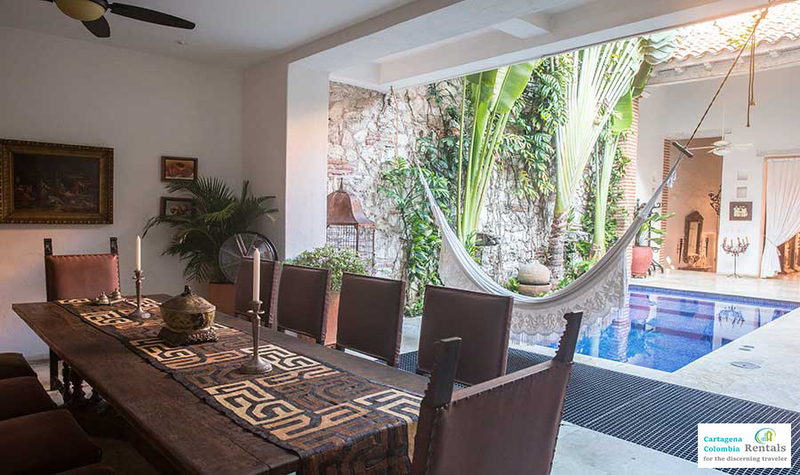 With a social dinning room and living room face onto the pool. 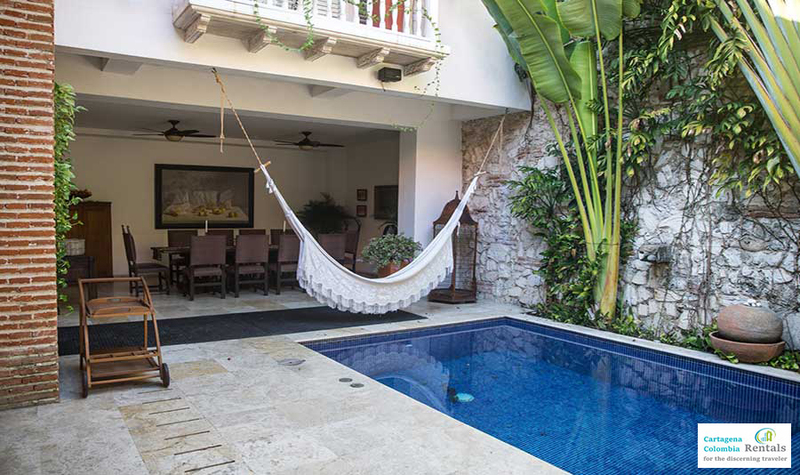 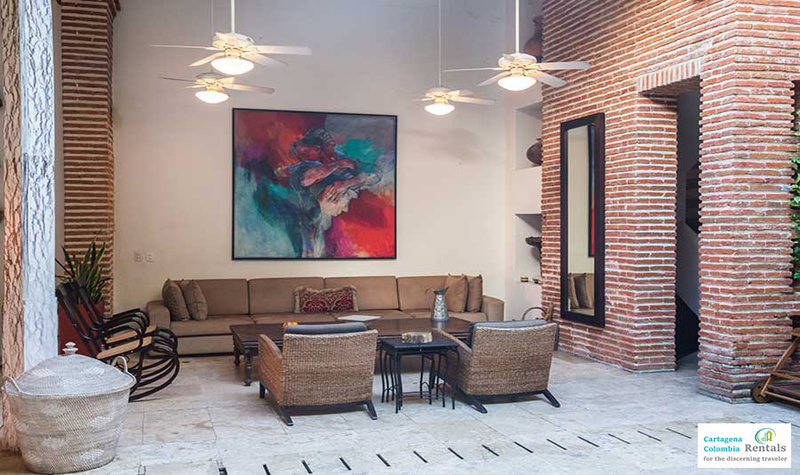 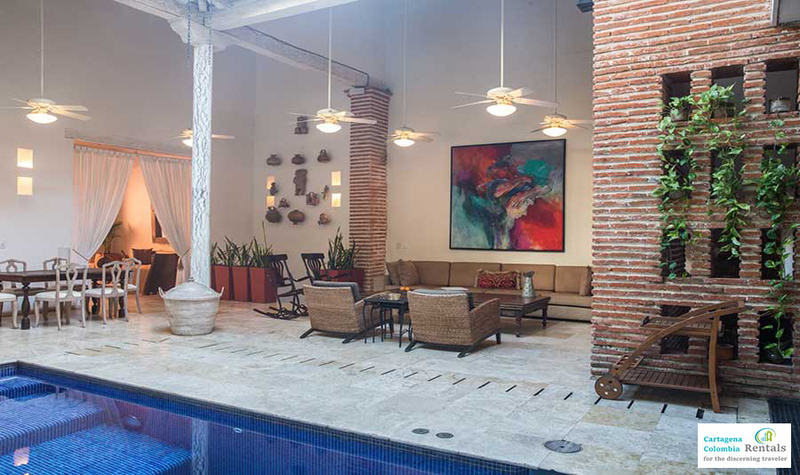 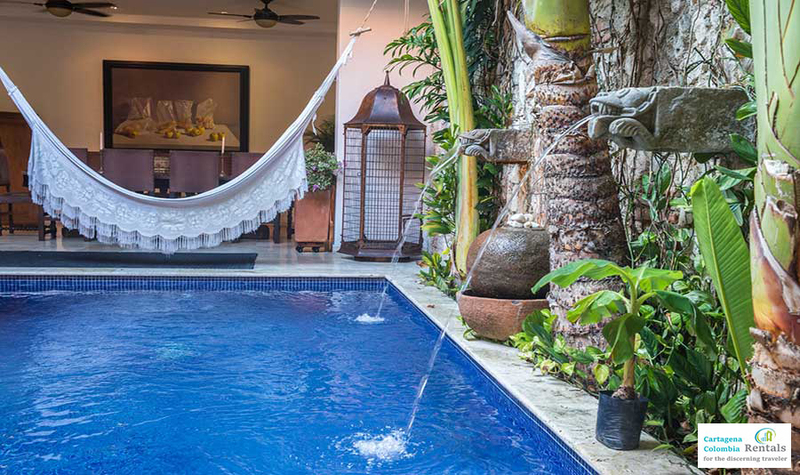 The courtyard pool area at Casa Mayito has cascading water and has air circulating in a natural air conditioning environment. 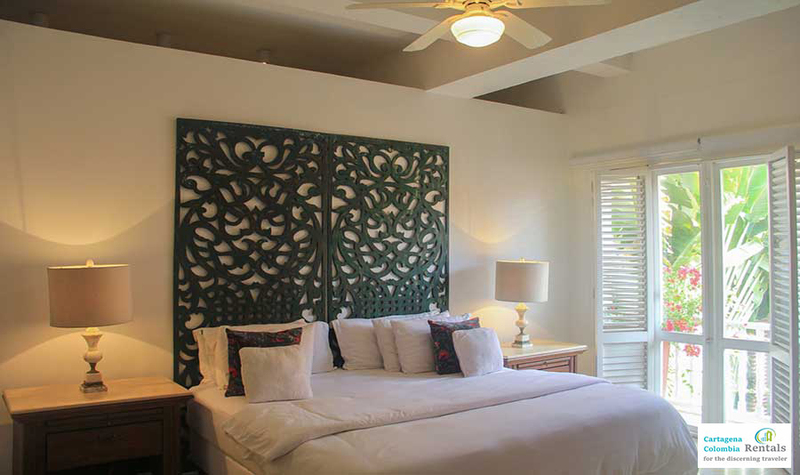 Additionally, every room has overhead fans and modern air conditioning. 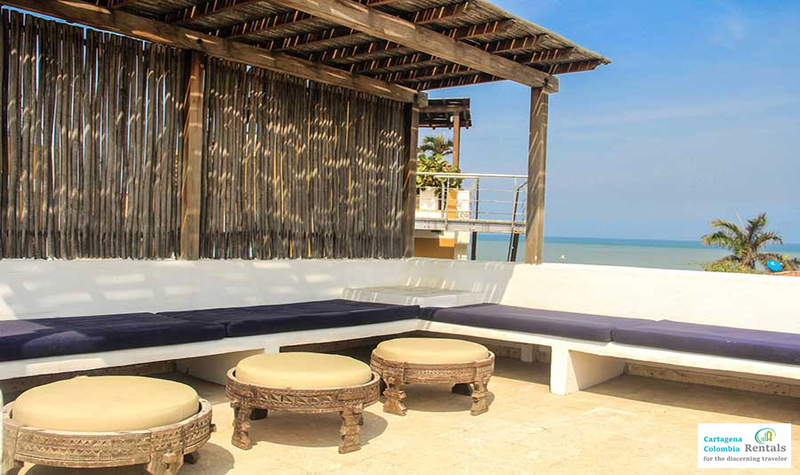 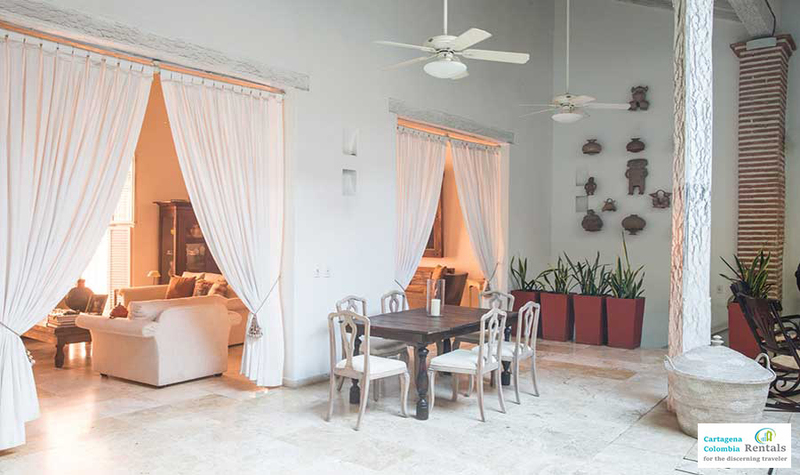 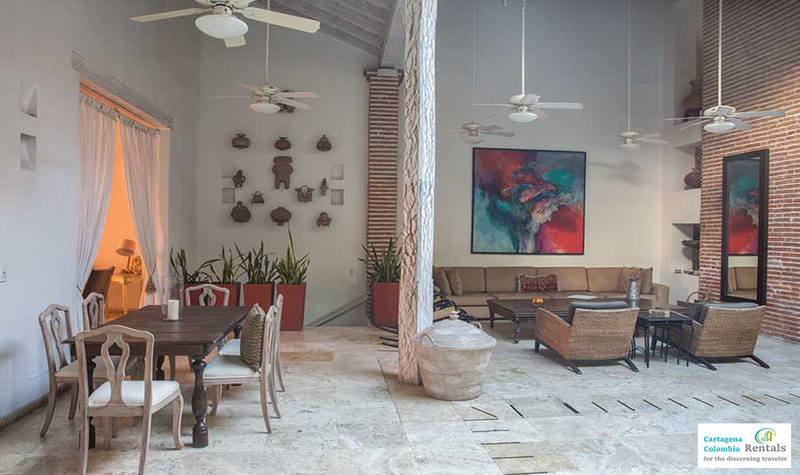 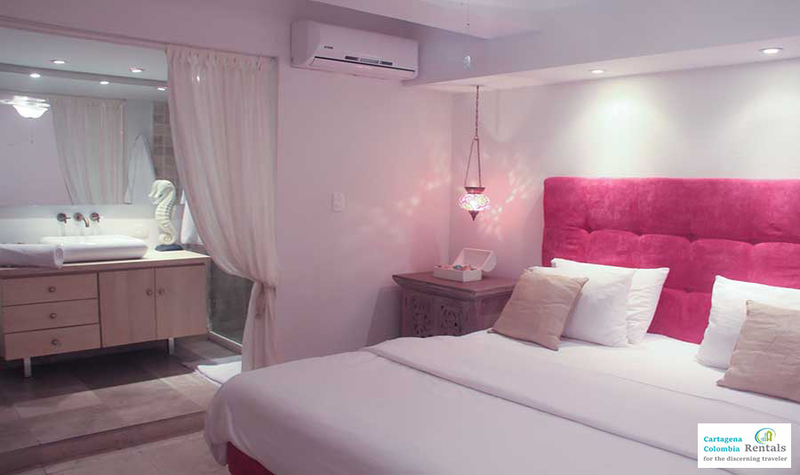 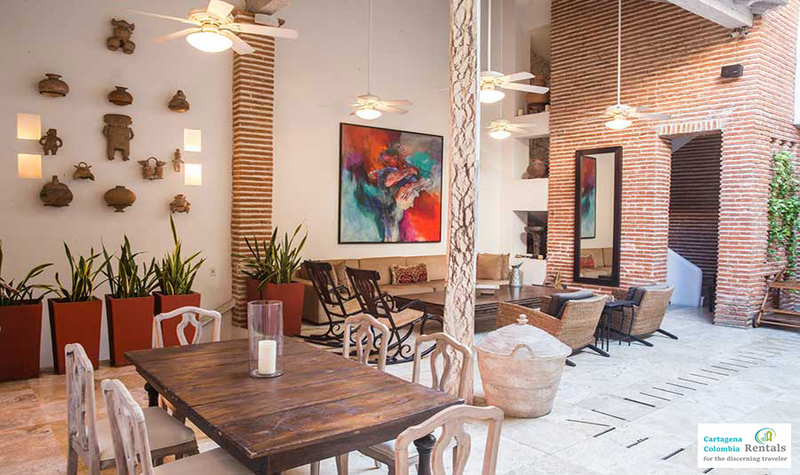 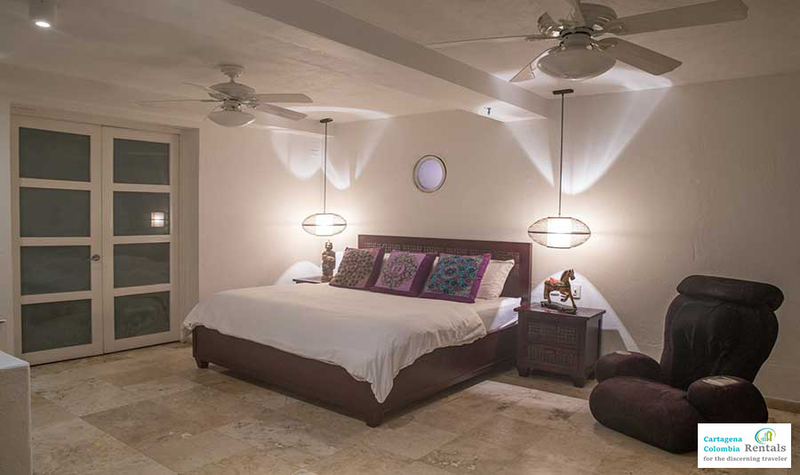 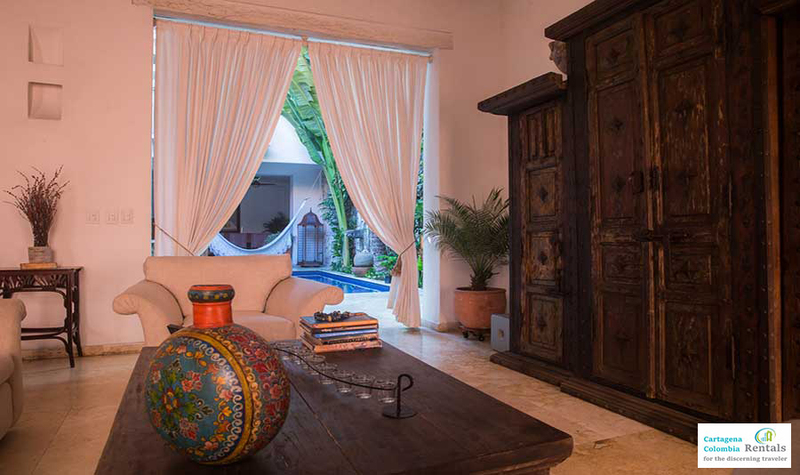 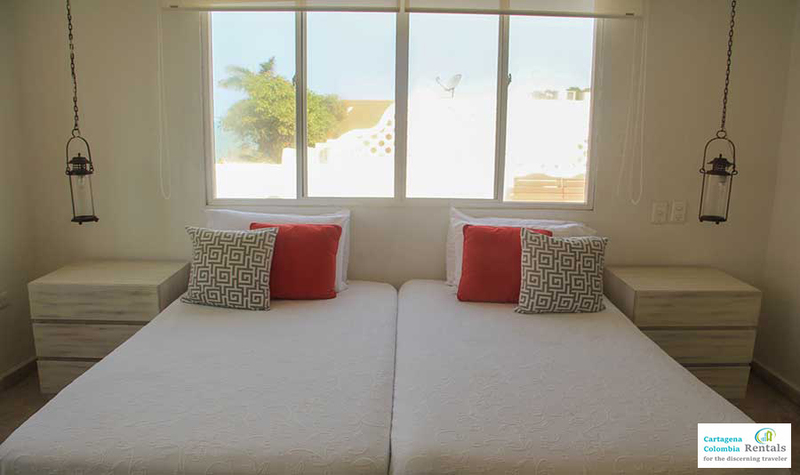 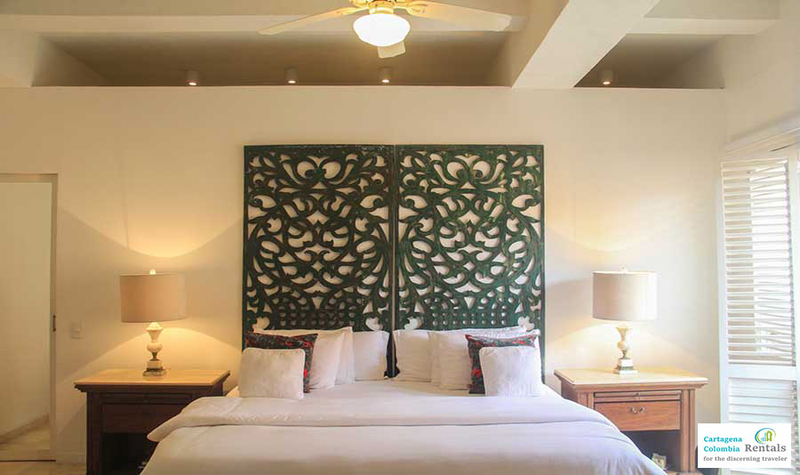 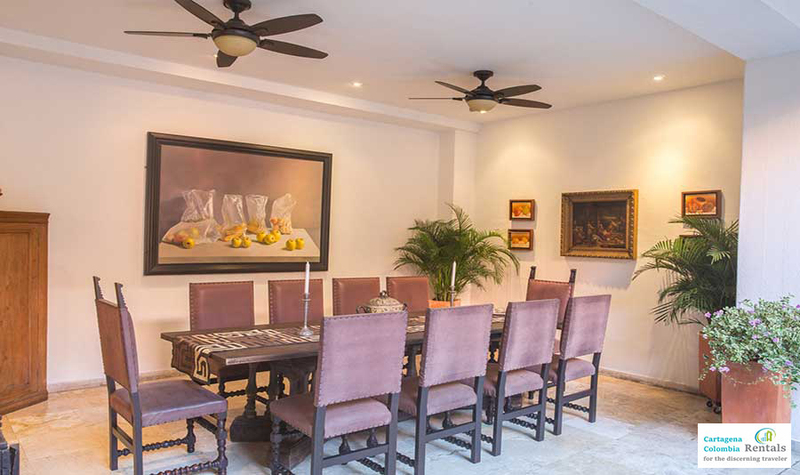 Each Casa Mayito room is uniquely decorated, with its own color scheme with loving details are everywhere. 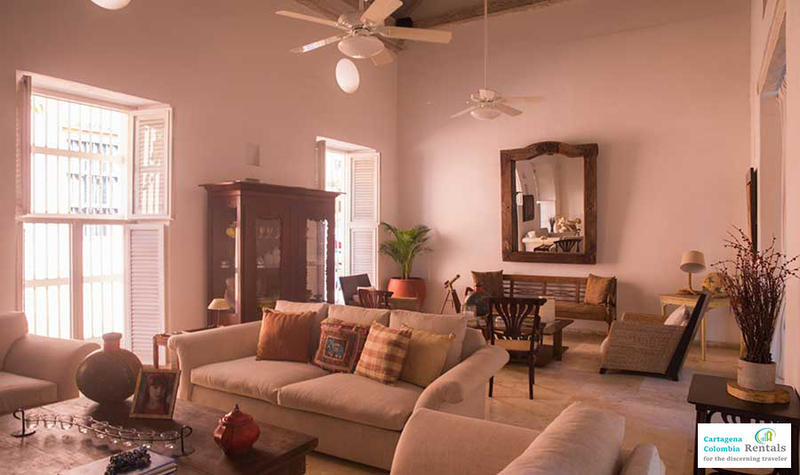 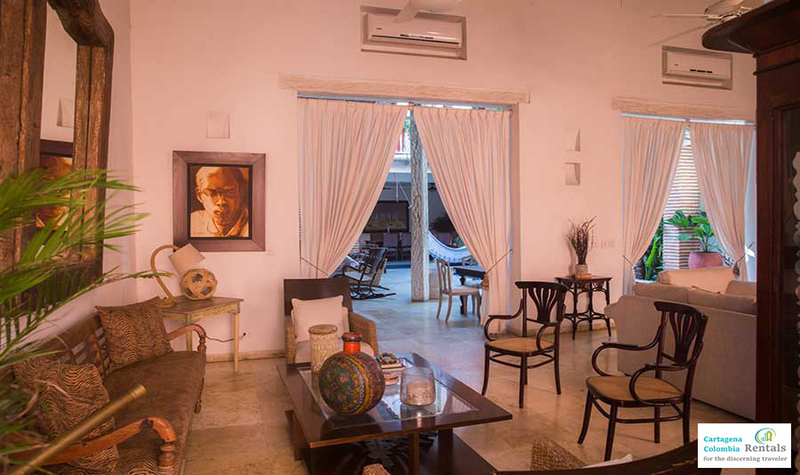 The house is fully equipped electronically including WiFi access throughout the house. 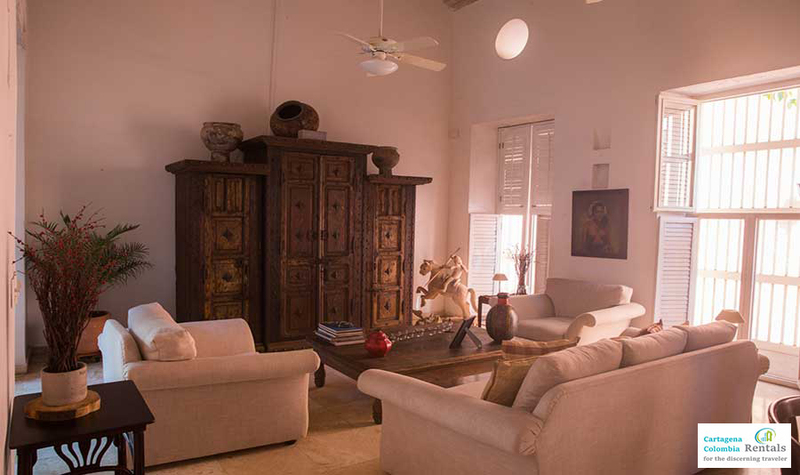 The house has permanent live in staff to look after the day to day running and to assist why you are ther. 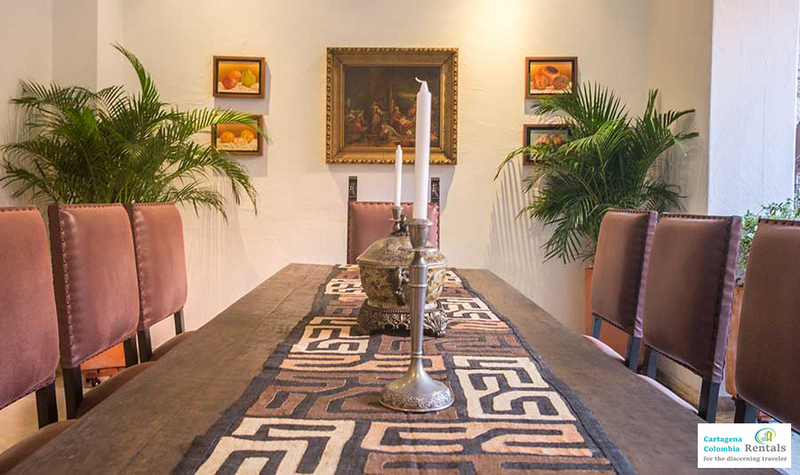 Typically, runs errands, serves the table and provides 24-hour security. 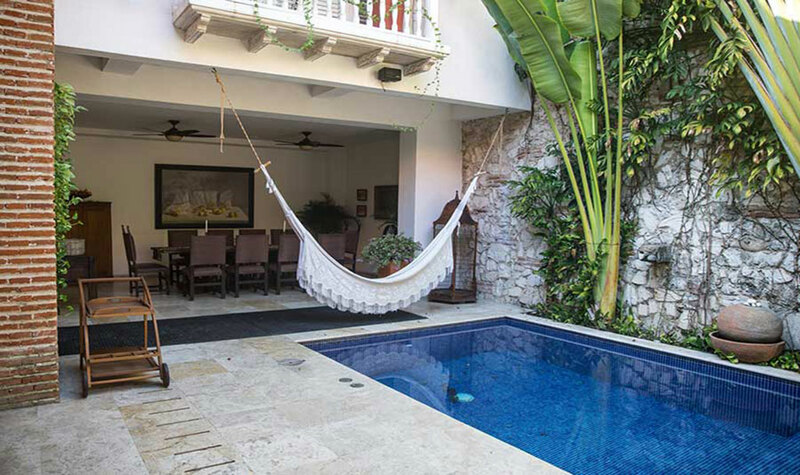 Daily maid service is included in the rate at Casa Mayito.